Each year the Society for Medieval Archaeology invites a student member to take on the role of Student Representative. Student Reps provide a voice for our growing student membership on SMA Council and also help organise our annual SMA Student Colloquium and career workshops. Other roles include the maintenance of our social media platforms and representing the Society at conferences. If you are interested in taking on the role of Student Representative, please contact the Society’s Honorary Secretary, Dr Karen Milek, via medievalarchaeology@googlemail.com with a cover letter, CV and referee details. The current SMA Student Representative Beatrice Widell. Beatrice completed her B.A. 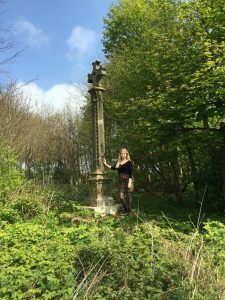 in Art History in 2014, and received her Master’s Degree in Archaeology in 2016 both at Uppsala University, and is currently undertaking her doctoral research at the University of Reading, funded by the South, West and Wales Doctoral Training Partnership (AHRC). In her research project ‘A Crimson Horizon- the Religious Landscapes of Warfare in Northern Britain, c.1050-1500’, she investigates the use and perceptions of sacred topographies, the spirituality and performance of rituals by medieval soldiers during conflicts in northern Britain by analysing conflict landscapes in the archaeological and historical evidence. Her research interest covers medieval belief and spirituality, material culture, perceptions of sacred places, spaces and landscapes. View the CFP for 2018 here.